Monroe County says they are ending their partnership with MDOT to take care of state roads because they are not being paid enough to do the work. (WXYZ) — You aren’t paying us enough to do this job. That is the message the Monroe County Road Commission sent MDOT as it decided it will withdraw from an agreement to take care of state roads. The Monroe County Road Commission passed a resolution back in September 2018 and notified MDOT. As of October 2019 Monroe County says it withdraws from a contract with MDOT and will no longer maintain and clear state roads. Right now MDOT has agreements with 63 of the states 83 counties. 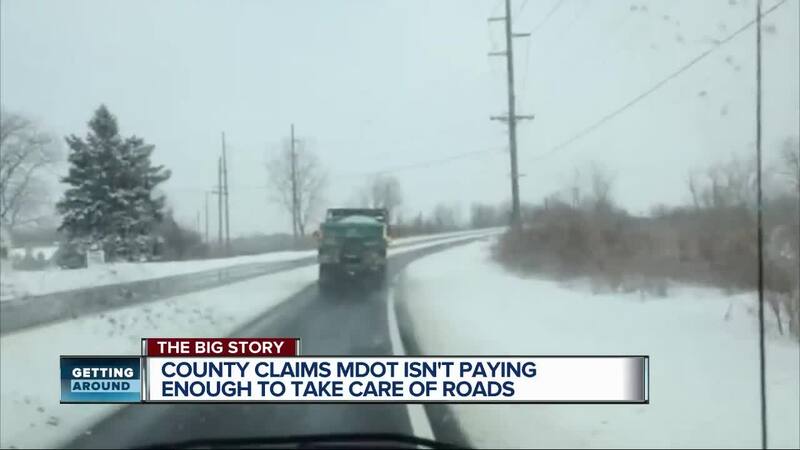 MDOT pays the counties to take care of state roads. Monroe County has been one of them for about 40 years. County road commissioners say MDOT simply is not covering the cost of the job. “It is a heavy burden sometimes to carry, when you have as many miles of road as county road commissions do have,” said Ed Noyola, the Deputy Director of the County Road Association of Michigan on the phone. He says other counties have done this in the past. “Monroe County is not going to pull out overnight. They are going to phase themselves out. And hopefully the department has an opportunity to start working other types of arrangements with adjacent county road commissions or with their own personnel to do the maintenance,” he said. The question is could funding changes save the Monroe County arrangement? “With the new administration and a new director maybe there is an opportunity here for some reconciliation,” said Noyola. The Monroe County Road Commission did not provide comment to WXYZ by deadline, but did share the letter sent to the state to notify MDOT of the decision.